Does your dog have bad manners? 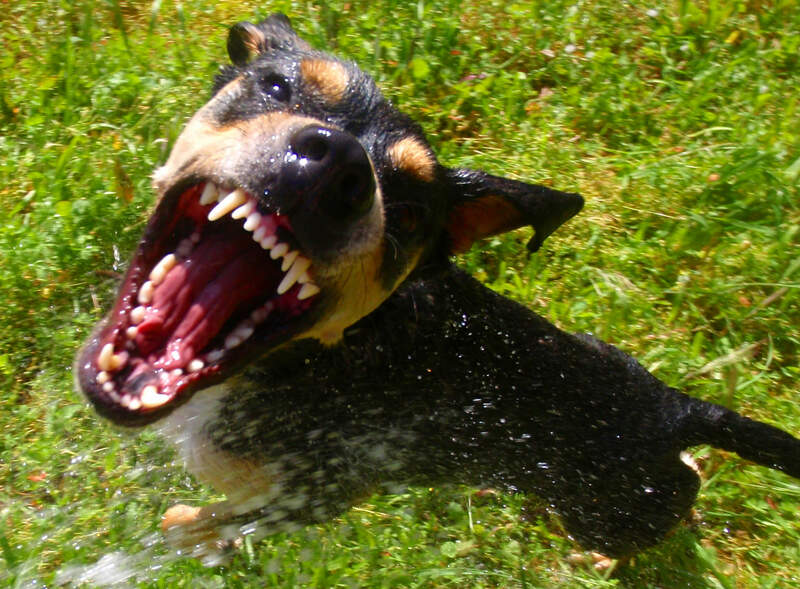 Does your dog exhibit destructive or annoying behavior? Fear not, you are not alone! Most dog owners go through at least some period of adjusting negative behavior in their dog, and it’s more than possible to scrub bad habits from an animal’s personality. Here is a list of six common behavioral problems found in dogs, and some explanation on how to solve them. A dog that barks at knocks on the door or the doorbell can be a massive nuisance to you and your guests. Mail-carriers probably don’t love them either. While a certain amount of barking can be a positive response from your dog, you don’t want them scaring away friendly guests. Resist the urge to yell at your pet when they are noisy. This can add fuel to the fire, and encourage more barking from them. Instead, as with correcting many of these undesirable behaviors, be patient and reward positive behavior. If your dog is barking at a friend or neighbor, take them aside and gently calm them down with affection. Slowly welcome your guest into the interaction, and once the dog has calmed, reward them with a treat or their favorite toy. Eventually, they should get the idea that most guests are actually good! Even the best trained dogs like a good chew. The key is encouraging positive behavior, rather than over-punishing for biting the wrong object. If your dog is chewing furniture or personal items while you are out, or nibbling on hands when they are being pet, it could mean one or both of two things. Firstly, your dog may not have enough items that they can chew around the house. Try buying some new bones or toys that they like, and making them accessible to your animal. Secondly, your pet may have too much pent up energy. Give them a little more exercise, and see if you can calm your dog down a bit. Our human food is delicious, and our dogs are aware of that. It makes perfect sense why an animal would want access to salty and fatty scraps left on your plate. The key to eliminating begging behavior is to never encourage it. Even the act of scolding a dog or pushing them away during the act of slobbering over your food might give them the idea that begging will bring some attention. Ignoring them while they beg is the first step to reinforcing their patience. Further, if you’d like to give over some tasty morsels, don’t feed a dog off of your plate, no matter how tempting the free dish cleaning is. Take the scraps, and put them in the dog’s bowl. That way, they’ll realize that if any food is coming, it won’t be off of the table. Many dogs are natural scavengers, and enjoy digging for treasure. Certain breed categories like terriers and hounds are the most notorious lawn wreckers of all. 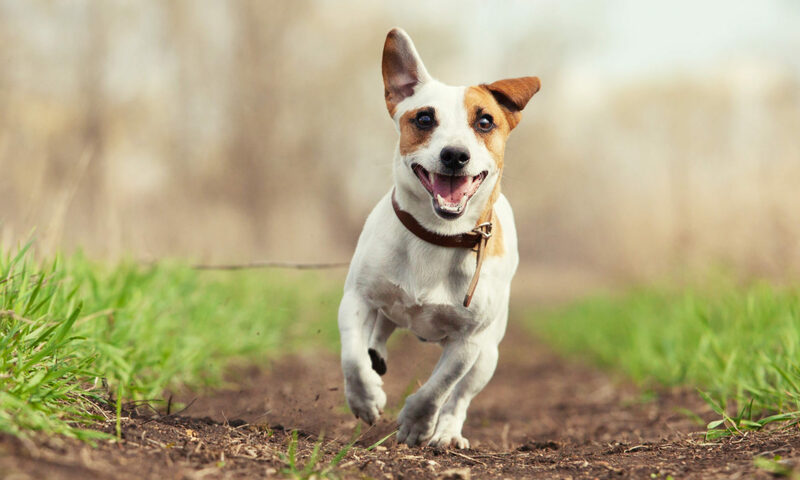 If your dog is inclined toward digging up deep holes in the grass, be vigilant, watching them as they go outside for a pee and assertively saying “no” when they begin to dig. Also, consider offering them an alternative plaything after you successfully interject, like their favorite toy or a tasty bone. If none of these strategies work, creating an area where your dog is encouraged to dig, like a small sandpit, can be effective. Consistently reward them with love, affection, and a good treat when they dig in the right place. While in certain instances a jumping dog is very endearing and fun, in others it can be unacceptable. Those who live with elderly parents or small children may better understand the need to overcome this dangerous habit. If a dog is jumping at every new face it greets, encourage guests to wait a few minutes before saying hello to the animal. This will give them the chance to calm down, and may diminish their urge to jump up in glee. Many dog owners face stress and trouble when commingling their pet with other dogs. The greatest piece of advice when confronted with a situation of heightened aggression between dogs is to remain calm. Dogs feed off of their owners’ energy. If a fight is cropping up, don’t panic and tug hard, run away, or scream. Instead, pull your dog at a steady and relaxed pace away from the interaction. If a fight breaks out, be assertive, but avoid screaming. A loud and booming “no” can often be more affective than more extreme means. Also, keep your dog on a leash, preferably with a strong and comfortable harness, if they are prone to aggressive behavior. If your aggression problem is extreme to the point of serious safety concerns, consult a trainer for help. Like us, dogs are not perfect. Thankfully, they respond remarkably well to positive reinforcement. Remember that aggression toward an animal hurts more than it helps, so be kind, patient, and gentle when guiding your dog toward better behavior.